What is an occupational therapist Video? 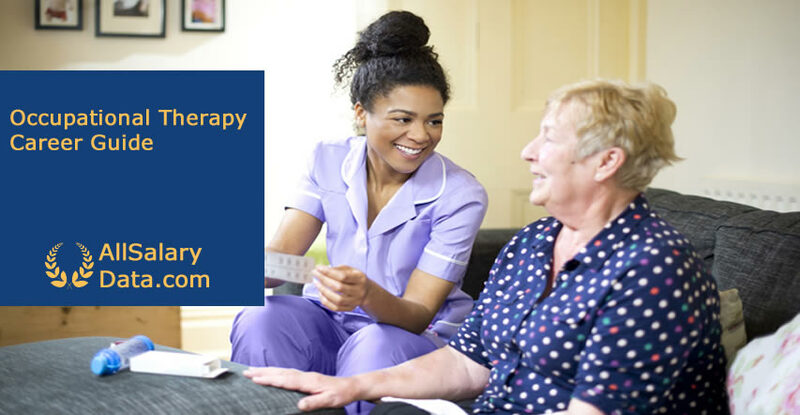 In the very broadest of definitions, an occupational therapist is a person that assists their clients in improving their ability to function as independently and as similar to the mainstream of society as possible. The occupational therapist’s clients are normally afflicted with some sort of disability. This disability may have been one that they acquired during their lifetime through an accident or later in life from a disabling disease, or this disability may have been with them since birth. Either way, the occupational therapist is concerned with helping this disadvantaged individuals learn to be self-maintained, independent, productive, and able to satisfactorily operate in the world. This includes everything from the most basic of motor functions to the ability to reason and make logical decisions given environmental inputs. The overall field is very vast and most occupational therapists find themselves specializing in one area of practice or another. This does not mean that there are not any general practice occupational therapists, but what it does mean is that you have a lot of options within the overall field of occupational therapy. If you find that you enjoy working with a particular type of disability then you can specialize in working with those types of patients. If you find that you are skilled in program development but not necessarily dealing hands-on with the patients, then there is a path for you. The occupational therapist can define their path within the overall occupation as they find the areas in which they most enjoy and/or the areas in which they most excel. It is important for anyone that is looking into being an occupational therapist that this is a professional occupation. What is meant by this is that the occupation itself require specialized knowledge and skills. The occupational therapist not only needs to implement therapies with the patient, they also need to determine the therapies to implement. This requires that the occupational therapist understand, in detail, the complexities of how our body functions, operates, and how our mind processes information. It is not a matter of knowing you need to lift an arm to open a door, the occupational therapist needs to understand that first, you need to know the door needs to be opened, then you need to identify if you are close enough to open the door, then you need to identify what muscles lift the arm, grip the nob, etc. As you can see the occupational therapist needs to break down each and every aspect of every behaviour. Then, if a client is disabled in determining how close a door is, or in lifting their arm, or whatever their disability is, they need to identify a workaround and then teach the client exactly how to perform the workaround. In occupational therapy no aspect of functioning independently is taken for granted, this is because the patients you work with will all be unable to function is some specific way. The occupational therapist helps the patient overcome that disability in order to be able to function as independently in mainstream society as is possible, given that patient’s disabilities. Previously we covered what exactly an Occupational Therapist is, the job profile and how you can go about becoming one. Today let’s look at some compelling reasons to get into occupational therapy. Of all of the job choices that you have occupational therapy is one that is little known but incredibly rewarding. The following is a list of ten answers to the question, why become an occupational therapist. The list is far from all conclusive, but it should at least inspire you enough to look further into this fascinating career. 1. Fulfillment. The number one reason to chose to be an occupational therapist is that occupational therapy is a fulfilling career. The rewards include substantial compensation, seeing the product of your work, helping others, and making a difference in the lives of the disabled in your community. 2. Respect. The career itself is respected not only in overall society but also amongst other medical professionals. Occupational therapy is considered an important career that takes a great deal of training and one that is important in the lives of the patients served. 3. Flexibility. Whether you want to work directly with patients or as a program designer, therapy aid designer, or educator. The occupational therapist has a lot of options. Occupational therapists are found in such diverse institutions as hospitals, insurance companies, manufacturing design companiues, law firms, and engineering companies. 4. Challenging. As an occupational therapist you are constantly using your mind in creative and challenging ways. Each client has their own barriers. You need to identify these and develop strategies to help the client overcome. There are few careers that offer such daily challenges and opportunities to be creative. 5. Environment. Occupational therapists oftentimes work in several settings. They work in their office for part of the day, meet and work with patients in gyms and medical facilities for another part and then meet with others in real world environments. The occupational therapist is never chained to a desk. 6. Rewarding. The occupational therapist is able to feel the reward of helping their clients in their daily lives. The occupational therapist is the one person that is helping that client learn to be independent. Upon successfully helping a client gain their independence the occupational therapist can know that they had a hand in changing a life forever. 7. Freedom. As an occupational therapist you have the freedom to not only design the therapy but also in choosing the type of work you want to do each day. The field is full of specialization and you can direct your career path in any direction you choose. 8. Excitement. As an occupational therapist you share in your clients joy and excitement as they learn and conquer new skill sets. You will also be able to enjoy the excitement of being able to develop new techniques that help others, this in and of itself is very exciting. 9. Innovation. You are in control of analysis and the proscribed therapy. This means that it is up to you to innovate and find new and improved ways to help your clients. You will never be called to do repetitive tasks for months on end. The occupational therapist must be innovative to succeed. 10. Self Actualization. As an occupational therapist you have the opportunity to self actualize. That is because the career itself allows for flexibility, creative application, never ending learning, and substantial compensation. Add all of this up and you get a highly paid rewarding career that is self determined and never boring. For many, that is self actualization, and that is the best answer of all to the question, why become an occupational therapist. This overview of occupational therapist schools will cover schools that are accredited, seeking accreditation, schools that offer doctoral level programs, as well as schools that offer master’s level programs. Each of these schools provides a similar level of content and each of the values their accreditation or road to accreditation very highly. It is only graduates of accredited institutions that are allowed to sit for the certification of occupational therapist exams. This includes the ability to sit for the state licensing exams as well. There are currently accredited occupational therapist schools in over 47 states. Many of these programs offer schedules for part-time students, limited distance education options, and full financial aid for their programs. This is yet another advantage of an accredited school. Accreditation opens up access to all forms of financial aid to the students. Graduating from one of these schools will assure the student that they have the necessary background and education to successfully pass the license exam in order to become an occupational therapist registered. Though there is no guarantee that someone that satisfactorily completes their accredited education will pass the license exam. It is advisable that you research each program that you are attending prior to attendance. If possible it is good to look into the overall reputation of the program you plan on attending and to determine when that program is subject to accreditation review. You do not want to attend any school that has a less than top tier reputation that is up for accreditation while you are attending. Accreditation is in five to ten year intervals and most programs are two years long, so it would be simple to schedule attendance around the accreditation of your school. Of course if your school has a strong and long term reputation and is considered a top occupational therapist school, then you do not need to concern yourself with this as much as if your school is somewhere in the middle to the bottom when looking at an overall overview of occupational therapist schools. There are only five schools that are currently seeking entry-level accreditation. It is best to not attend any of these schools until they are fully accredited. You do not want to be in the middle of coursework or close to graduation and then find out they fail accreditation. That would force you to re-attend a different school in order to get an accredited degree, and most schools will not accept transfer courses from non accredited institutions. There are currently five schools that are accredited for providing a doctoral level occupational therapy program. Therefore if you wish to get a Doctoral degree in occupational therapy you will need to move to one of these states for the tenure of your education. There is one program in Pennsylvania that is seeking doctoral accreditation, therefore if you live in Pennsylvania you may have a doctoral option in the next few years. As an overview of occupational therapist schools, you can see that there are many options available to the prospective student. Because of these large number of options it is best to treat your education carefully and seek out an accredited school that offers full financial aid, is not at risk of losing accreditation, and that offers the full or part-time programs that are necessary to fit your needs.